It's been a real eye-opener watching events surrounding the Celtic child-abuse scandal unfold in cyber world. It would seem the only person worthy of praise regards the horrific 40-year cover-up is Michelle Gray, sister of one of the victims of Celtic monster James Torbett. This admirable lady is very determined to get some form of justice for her brother and other children whose lives were destroyed by the disgraced football club. Regrettably the Club Like No Other and Scotland's top politicians alike continue to shamelessly ignore her. "Let me tell you what’s OUTRAGEOUS. My 12 year old brothers life being destroyed by a man who was backed & supported by people in authority. A man who sexually abused my brother, continuously!! That’s what I consider OUTRAGEOUS! Not a last minute meeting request!!" Sturgeon, as Sturgeon does when confronted with difficult questions, disgracefully ignored her. 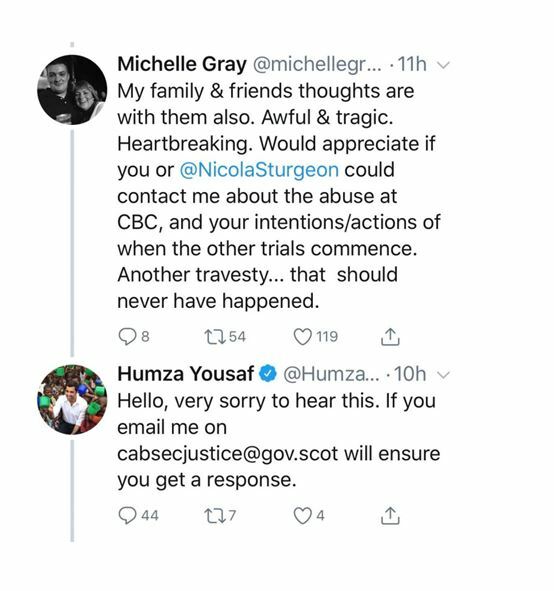 "Sturgeon reacts to difficult questions from Michelle Gray"
Mr Yousaf surely wouldn't allow his football allegiances to get in the way of an enquiry into the most hideous of crimes committed at his beloved football club would he? 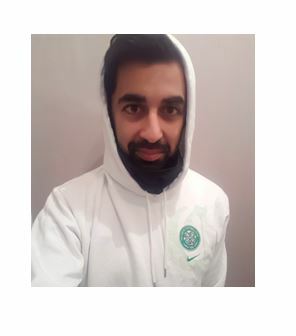 Meanwhile, undertaking a pathetic damage-limitation exercise, the Club Like No Other self-commissioned and funded a comical study into all the great things the shamed organisation gives to Scotland. Self-praise is no praise at all. This scandal hasn't gone away you know, and no amount of cringe-worthy back-slapping will make it disappear. Michelle and her family must get their justice.